Here we are, preparing to say goodbye to August and I’ve just arrived in the month that was June, with my writing! I’m also leapfrogging ahead ten-days from the start of the month in order to carry on with the good stuff. 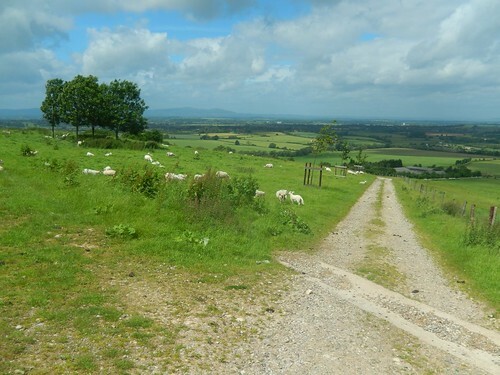 So, back in December, I’d effectively pre-walked this route up in Worcestershire, ready to take the group on a tour of Bredon Hill at a later date. With people in their cars and, later, having arrived at the start point; we were ready to go. This entry was posted in Cotswold Hills and tagged Banbury Stone Tower, Bredon Hill, Brunel 20s and 30s, Brunel Walking Group, Cotswold Hills, Cotswolds, Elephant Rock, Elmley Castle, hiking, John Parsons, Kemerton Camp, OS Maps, Parsons Folly, The Ramblers, walk leading, Walking, walking group, Worcestershire, Wychavon Way on 30/08/2017 by Olly Parry-Jones.